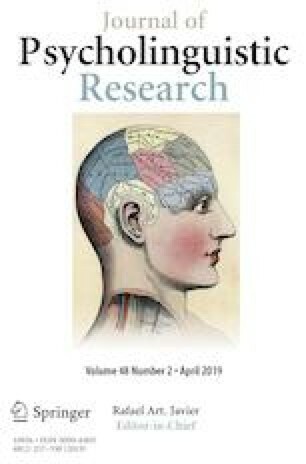 It is unknown whether linguistic cues influence preschoolers’ recognition of facial expression when the emotion of the face is incongruent with the linguistic cues and what type of linguistic cue is influential in the modulation of facial expression. In a priming task, we presented 5-year-old children three types of linguistic information conveying happy or sad emotion (simple label, label with rich causal explanation of emotion, and label with poor causal explanation of emotion) prior to the presentation of a happy or a sad face. We asked participants to recognize emotion of facial expression and examined whether they follow linguistic information than the facial expression when the emotions of linguistic information and face were incongruent. As a result, children who were presented the label with rich causal explanation judged emotion of face according to the linguistic information, whereas children who were presented the simple label or the label with poor causal explanation followed the emotions of facial expression. This result indicated that children’s autonomic reliance on situational cues depends on the emotional causality and the concreteness of emotional state conveyed by the linguistic cues. This finding contributes to our understanding of the face inferiority effect on children’s developing notion of emotions. This study was supported by a Grant to S.I. from Japan Society for the Promotion of Science (25245067, 25240020).